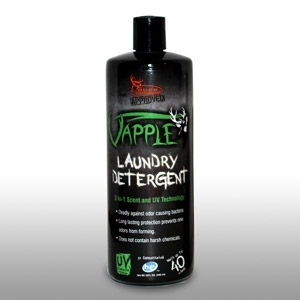 Vapple's Scent & UV control Laundry Detergent neutralizes odors and lifts stains safely and effectivley. This revolutionary formula is proven to destroy odors that are embedded in your clothing. With the addition of effective UV inhibitors you have taken concealment to the next level.